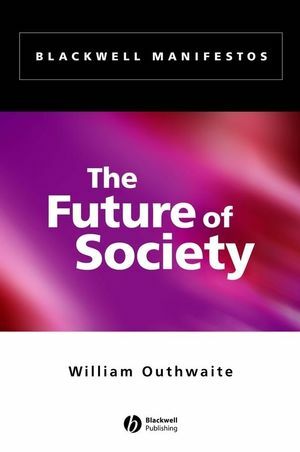 William Outhwaite is Professor of Sociology at the University of Sussex. His previous publications include Habermas: A Critical Introduction (1994), New Philosophies of Social Science (1987), and Understanding Social Life (Second Edition, 1986). He is co-author of Social Theory and Postcommunism (Blackwell, 2004), editor of The Blackwell Dictionary of Modern Social Thought (2002) and The Habermas Reader (1996), and co-editor of The Sociology of Politics (1998). 1. The Origins of ‘Society’. Part I: Critiques of Society. 2. Society and the Individual: Neoliberalism, Social Constructionism and Communitarianism. 6. Towards a Synthesis? Theory and Metatheory. 7. Society Lite? Theories of Civil Society. 8. Is There a European Society?. Postscript: A Defensible Concept of ‘Society’. Argues that we do still need a concept of society.